Guys, Spring is literally right around the corner, and we’re psyching up for the kickoff of wedding season that comes along with it. 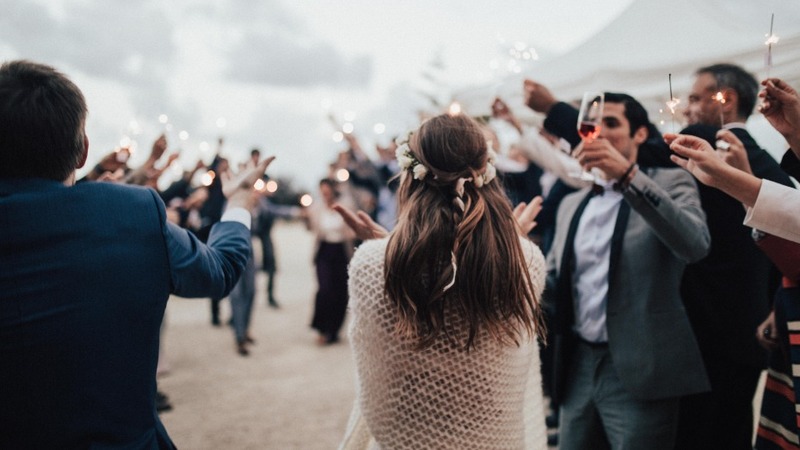 We’ve already been brushing up on good wedding guest 101 and considering whether or not we’ll be bringing gifts to the wedding ((spoiler alert - nope)), so aside from figuring out our outfits for the day, we’re good. And we came up with something else for our list of good wedding guest characteristics. 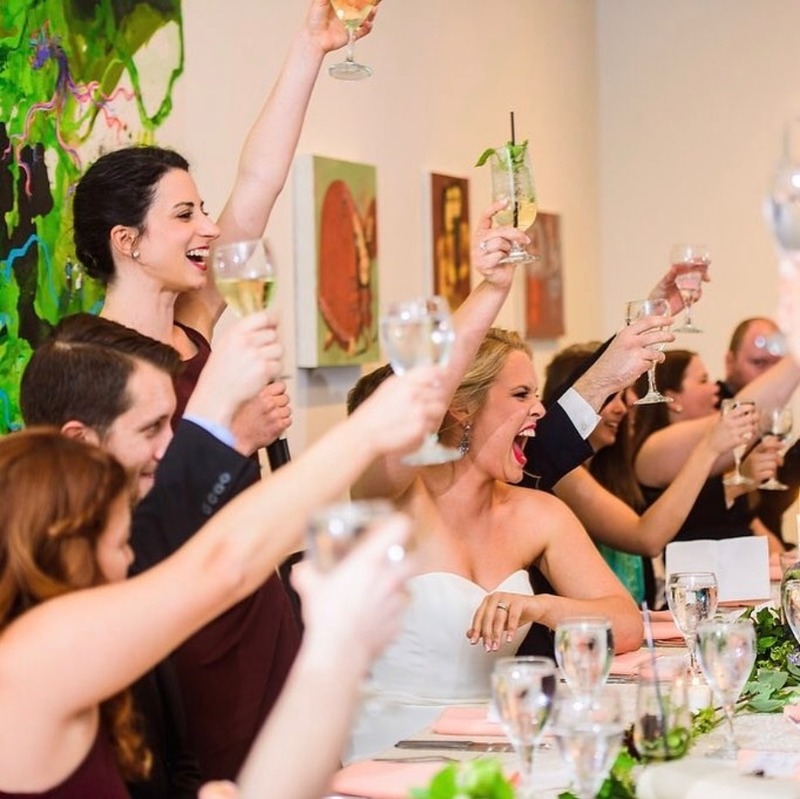 Because, yes, well-behaved guests don’t hijack the microphone to deliver ridiculous, dark alcohol-fueled toasts, but they also don’t sit in their seats judging the Best Man or Maid of Honor when they’re giving their speeches. Instead, they practice patience, good manners and the art of a perfect poker face, especially when things start going south - or were DOA, TBH. I’ve been to a ton of weddings and listened to dozens of speeches, and I can truthfully say that the good ones never started with ‘For those of you who don’t know me….” Literally. The worst. If you have mind to maneuver those words into your toast, then take our advice and just say no. 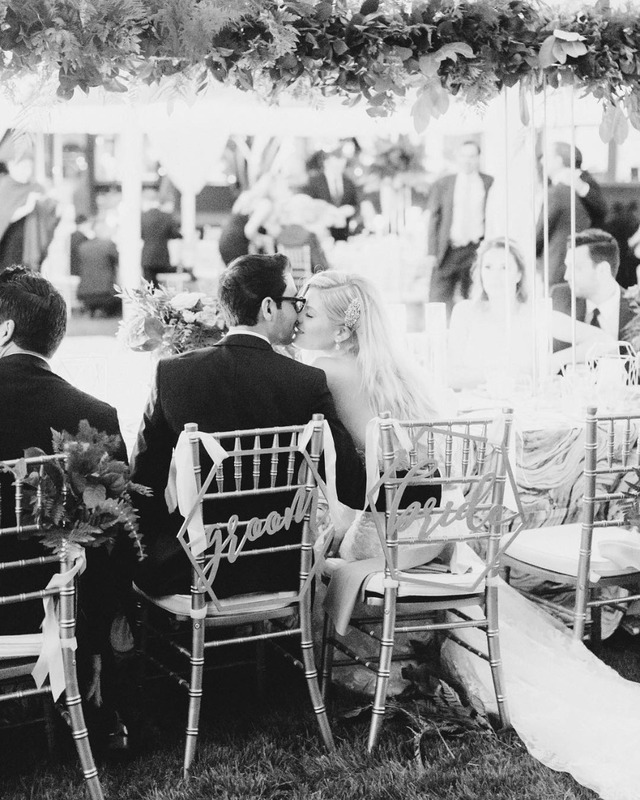 The majority of the guests will already know who you are (especially if you’re a sibling or family member), either from reading the wedding program or hearing it from the bride or groom, and really, yes, people might pretend to care who you are, but they just want to hear what you have to say about the couple. It’s their day, it’s not about you. 😊. Unless you’re single and looking to mingle… We’ll get back to that. We get it, starting with that opener can help ease the nerves. Once you feel more familiar with the crowd and can talk about yourself a little bit ((EVERYONE ENJOYS THAT)), you can feel the stress start to melt away. But it’s just too basic and boring for us. So, we took some time to put together a few toast starters, for anyone currently wordsmithing their speeches. Read through to get some pointers! Because your best guy or girl deserves better than this HAHAH. Talk About Your Buzz (JUST A BIT). Okay, we’re not advising getting too toasted right before your toast, not whatsoever, you need to be flawless. But, sometimes it’s cute, endearing, and funny to mention just how nervous you were to get up there and how you dealt with the discomfort - aka, by imbibing just a bit. #allgoodtoastsstartwithsometequila. If you can handle your booze like a champ, and be able to poke fun at your coping mechanisms, you’ll make all the rest of the guests feel a little better about their drinking decisions. This hilarious bridesmaid did it! Flattery Goes a Long Way. Instead of talking about yourself, why not gas up the bride and groom? ‘Doesn’t my bestie look stunning today? I couldn’t imagine a more drop dead gorgeous bride.’ ‘How about that good looking guy right there? He’s got that GQ look going on, doesn’t he?’ You can feel free to drop in some light humor too. Maybe about her fake lash obsession totallllly paying off today… Flattery will always be your friend! You gotta get going with something gold from the beginning, and when you can pull something like “True love is your soul's recognition of its counterpoint in another” out of your a**, and look like a total boss doing it, you’ll be sitting (err standing) pretty for the rest of the speech. 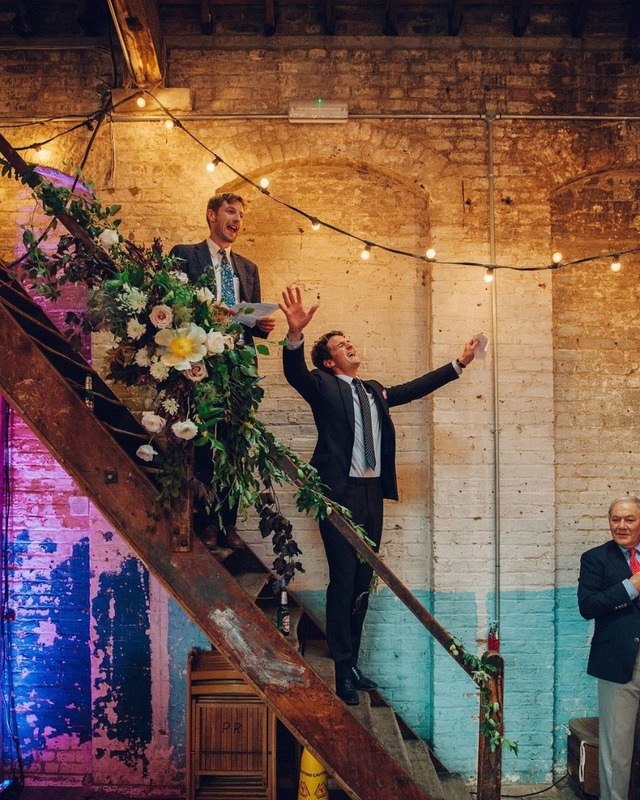 Similar to flattery, going this way in celebrating the couple’s love will always win out. Literally Give Them a Round of Applause. 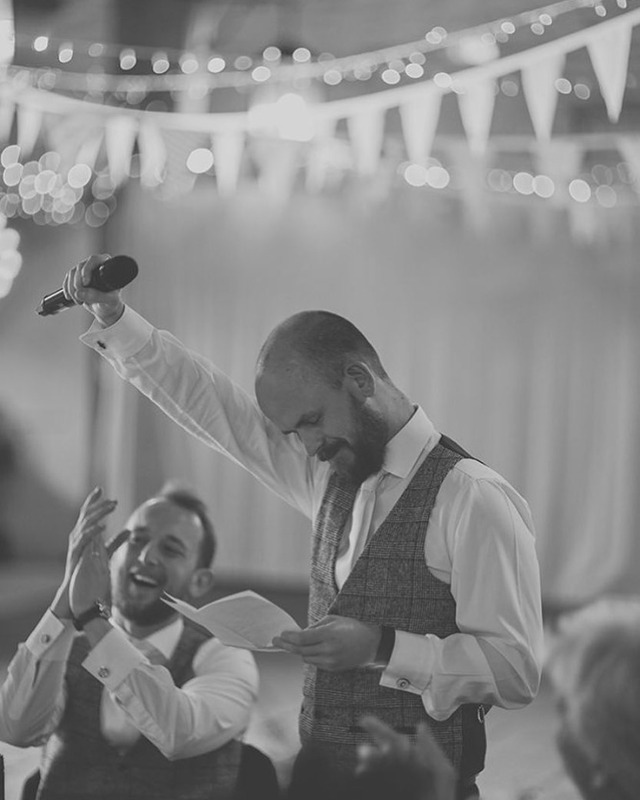 If the first words out of your mouth involve giving the bride and groom, their parents, and distinguished (or undistinguished guests) guests a round of applause for just being awesome, you’re going to get a good response. Claps always precede something good. If you’re going to try comedy, you gotta do it right. You don’t have to pursue a Comedy Cellar career afterwards, a one and done trick is good enough! But you need to nail the jokes and their timing like this 👌👌👌. 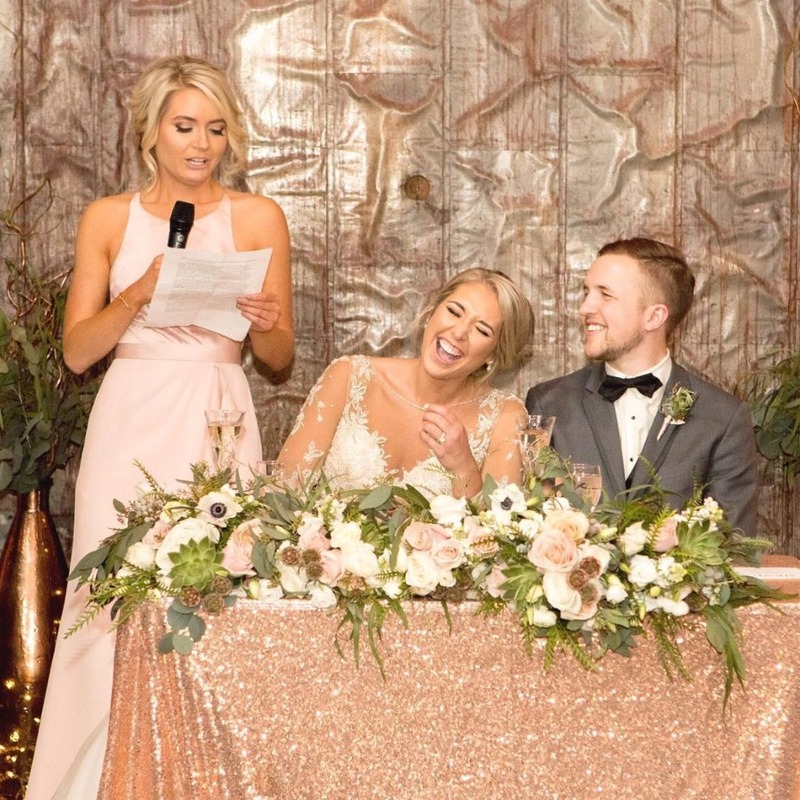 So, whether you talk about needing to pee (from all the aforementioned mixed drinks) or being so sweaty from handling the bride’s veil all day long, understand who you’re speaking in front of, and get those LOLs rolling right off the bat. This needs no explanation. If you can work in a sassy, story-stacked slow jam for the couple, you’re getting our thumbs up. This girl brought her A-game. And it was pretty epic. If a slow jam is in the works, it would only makes sense for there to be a NSFW but wedding-appropriate anecdote of the couple getting freaky (KNOW YOUR AUDIENCE, AGAIN, NOT ALWAYS CALLED FOR). Taylor Swift did it, and she slayed. Of course. If you’re already starting with ‘For anyone who doesn’t know me,” then you can at least follow it up with a witty mention of your single AF-hood. Take this girl’s lead on this one, and let all the unattached peeps know that you’re available … and will be accepting applications later in the evening. It’s cute. And you don’t have to make it all about you, just take a quick hit to your ego.